It’s time for another community update to share the most important developments in the past few weeks. We recently published a statement regarding the Smart Contracts system on the Counterparty foundation news site. For anyone who missed the update we’re reposting it below. Currently we’re in a bit of a holding pattern in finishing up the implementation, due to the fact that Ethereum itself is still under heavy testing and development, and its consensus system is still rather centralized. On top of this, the Ethereum Virtual Machine (EVM), which provides the execution environment for the smart contracts, is not ready for prime-time from both a security and maturity of features standpoint. Before we add the EVM into Counterparty mainnet, we’d like to see much more security testing around it, as putting an insecure and still-rapidly-evolving EVM implementation live into mainnet would have severe consequences to the existing Counterparty ecosystem. As always we will keep you updated on our progress. Also, we’re happy to announce that our General Manager, Ivana Zuber, who is no longer with Symbiont, will now be exclusively working on the Counterparty project, dedicating more time than before. 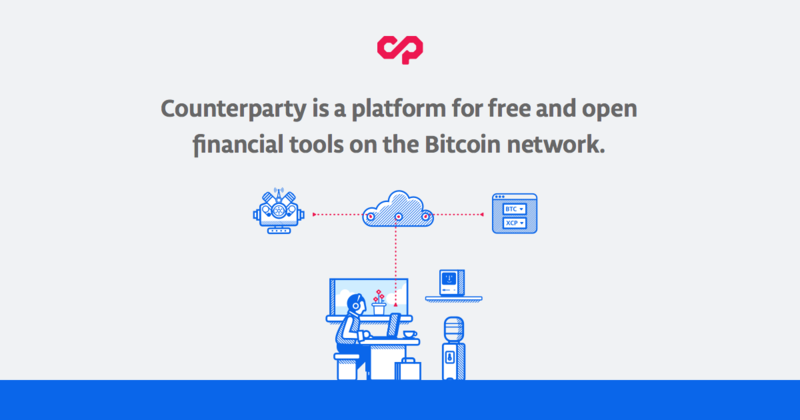 We’re continuing to see a lot of development in the Counterparty community, with new tools and services becoming available in the ecosystem every week. The latest development came from CoinDaddy and their vending machine. CoinDaddy.io released an Asset Vending Machine Service which allows asset owners to setup a vending machine and sell their Counterparty tokens. The service enables users to configure which payment methods the vending machine will accept, and supports thousands of cryptocurrencies including Bitcoin, Litecoin, Dogecoin, and any Counterparty or Dogeparty asset. To learn more about the service see the CoinDaddy demonstration video or checkout the CoinTelegraph post. Our community director Robert Ross made some changes to the Counterparty community site XCPAssets.org. The front page has been replaced with a news feed from every Counterparty project that has an RSS feed, and displays links to wallets, explorers, exchanges, tokens, and more. The goal of XCPassets is to provide information and links to everything relevant to the Counterparty community. That concludes our update for this week. If you have any questions you can contact us via our gitter, forum or github.